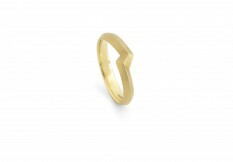 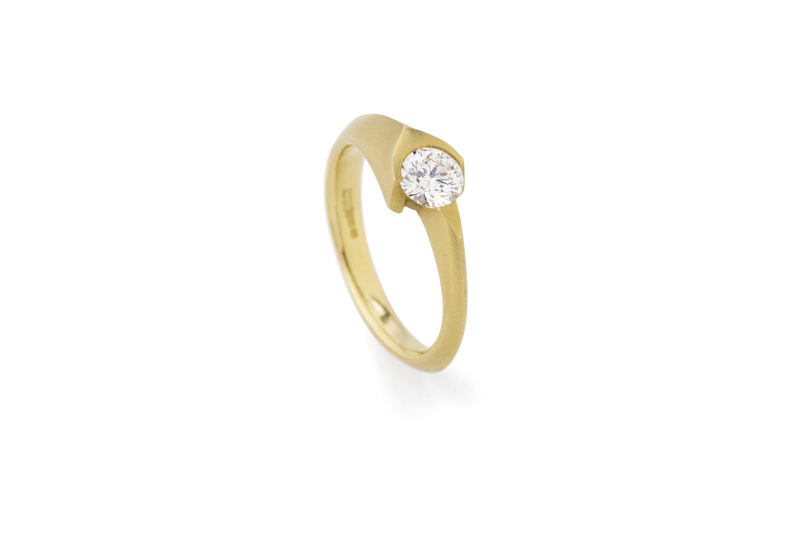 A graceful, 18ct gold solitaire ring with a soft, matt finished, knife edged band which sweeps around your finger to cradle the round, brilliant cut diamond in an arrow shaped setting. 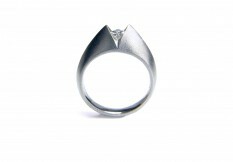 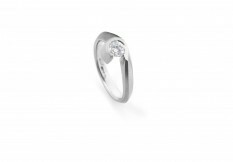 This ring fits perfectly alongside the 'Eros Plain' ring to create a beautiful wedding/engagement ring pair. 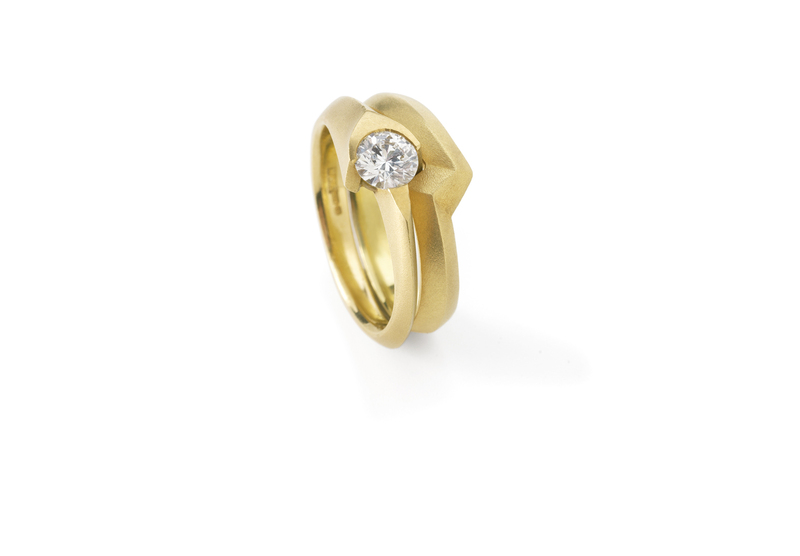 Shown here:18ct yellow gold and diamond.